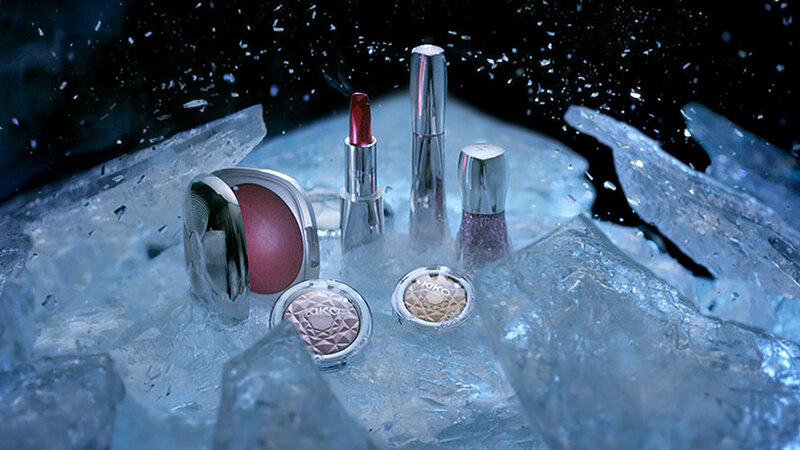 Their limited edition “Arctic Holiday Collection” shaped the look and appeal of the model Anna Mila Guyenz in the blue-coloured, icy sculptured, illuminated film set placed in Budapest, Hungary. Moving in between the ice world, she is attracted to the frozen well. She makes it burst to get the outspoken, new Arctic look. In a breeze of cold, ice particles spread and apply the shimmering, icy glow of winter upon her face, leaving the old look behind.